We are a unique name in the industry to provide our precious clients an exclusive range of Plywood Box. Offered box is exclusively manufactured using optimum quality ply wood and modern machines in accordance with the set industry standards. 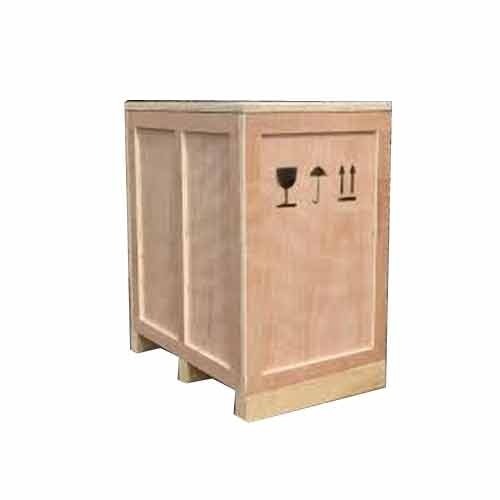 Owing to its specific usage in various industries for packaging purpose, this box is very popular among our clients. Furthermore, in order to ensure the best quality, the provided box is strictly tested by the special team of our quality experts. Incepted in the year 2006, in Pune (Maharashtra, India), we "Tirupati Packing", are known as the reputed Manufacturer and Supplier of premium quality range of Wooden Packaging Box, Seaworthy Packaging Box, Wooden Packaging Material, Wooden Pallet, Wooden Crate, Packaging Material, Corrugated Packaging Box and Timber Material. These packaging products are manufactured by our experts using high quality cardboard and woods in compliance with the international quality standards. Widely used for packaging purpose, these packaging products are acknowledged for their spacious, termite proof, high load bearing capacity, water resistance, high strength and light-weight. In addition to this, we are also engaged in providing Packaging Service and Seaworthy Packing Service to our clients. For these packaging services, our experts use high grade packaging material like wooden boxes, corrugated papers and tapes to ensure safe and damage free transportation of products. Known for their timely execution, reliability and cost-effective, these packaging services are highly demanded in the market.